The Indian badminton ace confirmed she will be tying the knot with her partner on December 16 later this year. Mumbai: Saina Nehwal has finally broken silence on her marriage with Parupalli Kashyap for the first time as the Indian badminton ace confirmed she will be tying the knot with her partner on December 16 later this year. “I will get busy with the Premier Badminton League from December 20 and then qualifiers for the Tokyo Games will begin. So this was the only date that we had to get married,” Saina was quoted as saying by The Times of India. Saina further revealed that the duo has known each other for over a decade and she found it very easy to share her feelings with Kashyap. “We started travelling for bigger tours from 2007-08 onwards. We played tournaments together, trained together and slowly, started paying more attention to each other’s matches. In the competitive world that we live in, it is difficult to get close to someone. But somehow we both found it very easy to talk to each other, talk about our matches. The feeling gradually grew. "We didn't think about marriage before. The career that we pursue is very demanding. It is very important to win tournaments and we didn't want to shift our focus by getting married earlier. A player needs treatment and attention just like a baby. "At home, I get everything without asking, but this will change once I get married. I will be equally responsible of doing things on my own. I didn't want to rush things before the CWG and Asian Games. But now, we think we are ready for it and can manage things on our own,” she added. The Hyderabad shuttler also revealed that she did not find it difficult breaking the news with her parents. "Bolne ki zaroorat nahi padi (I didn't have to tell them). We used to be together most of the time and my parents also travelled with me, so they understood who I was close to and comfortable with even after my losses,” she revealed. 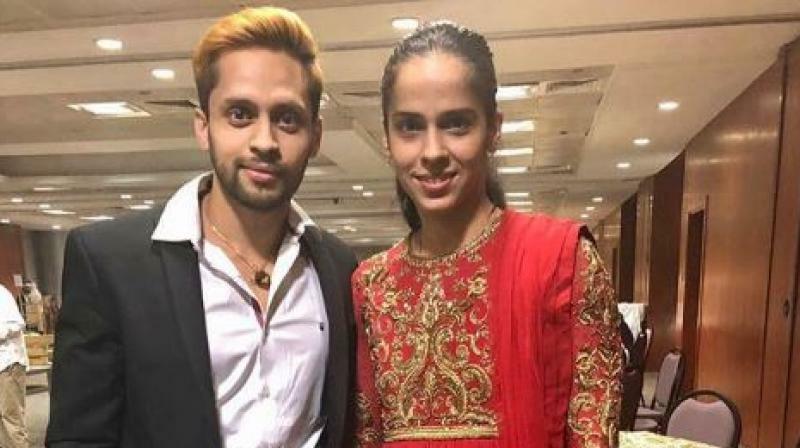 ■Badminton stars Saina Nehwal, Parupalli Kashyap to marry on December 16 this year?